Well cared for, oiled regularly and kept indoors. Wool flocked, comes with Amerigo saddle cover, front and rear blocks, calf skin knee flaps and seat. No marks or scratches, never been adjusted. 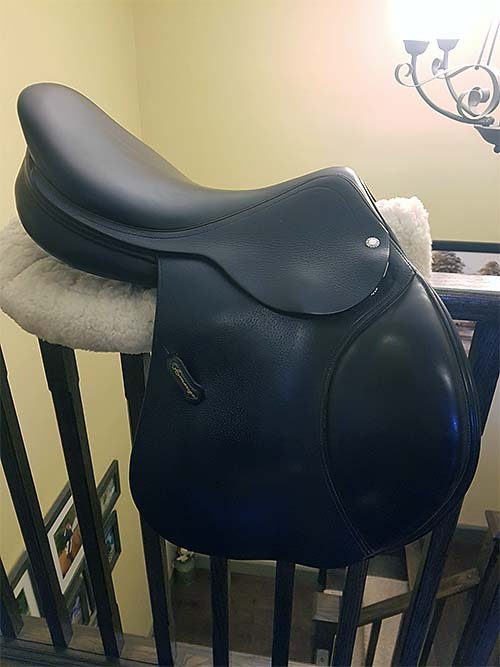 I love this saddle and it fits a variety of horses. Lots of grip and super comfortable!